Official Ontario Boating License Exam! The simplest way to get your Pleasure Craft Operator Card online! Do you need a boat license? Do you operate a motorized watercraft in Ontario? Then you need a Pleasure Craft Operator Card, often called a Boating License. From wakeboarding in Muskoka to powerboating and sailing in Gananoque. From pleasure boating at the cottage to angling in Northern Ontario. From the majestic Great Lakes to rivers and streams too numerous to count. It doesn’t get much better than boating in Ontario. But before you head out to experience the variety and beauty of Ottawa’s waterways, make sure you’re covered by having a Pleasure Craft Operator Card onboard. Keep reading to find out about Ontario boating regulations. Lost? Damaged? Need extras? Order now. The official study guide. Get yours today! Do you need a boating license in Ontario? If you you operate a boat with a motor, then the answer is yes. 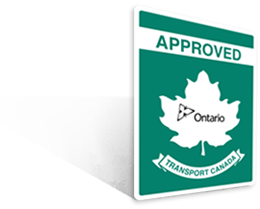 As of September 15, 2009 all boaters operating in Ontario waters – and right across Canada – are required to have a Pleasure Craft Operator Card, often called a Boating License, onboard in order to operate a powered watercraft. This is a federal law that applies in Ontario and all other Canadian provinces. Powered watercraft includes any vessel fitted with any size motor — even an electric trolling motor! Take your exam on the internet. You can take this online course, which is followed by a Transport Canada online final test. In approximately 3 hours, you can have your Boating License. 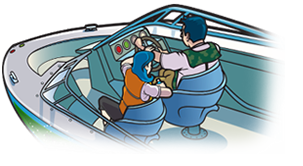 Students can challenge the Transport Canada test in person at recognized boat shows and events across Canada, such as the Toronto International Boat Show or at Bass Pro Shops in Vaughan Mills. BOATERexam.com has a TrustPilot rating of 9.2 out of 10 based on 13291 ratings and reviews. Get fitted up for an Ontario angling adventure at Bass Pro Shops in Vaughan Mills and while you’re there, take your boat license exam. 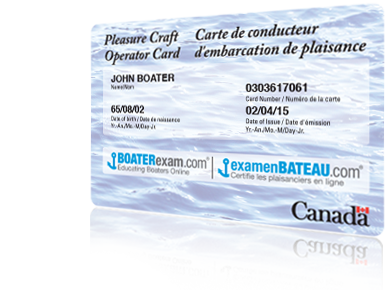 It’s one of the most convenient ways to get your Pleasure Craft Operator Card. Get your Ontario boat license online. Ontario Boating License or Pleasure Craft Operator Card? If you are looking for an Ontario Boating License, then you’ve come to the right place. What many people call a boating license is officially called a Pleasure Craft Operator Card. 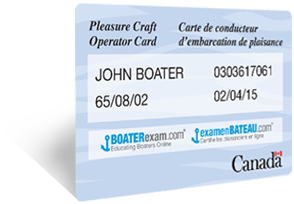 The Pleasure Craft Operator Card is a federal, rather than provincial, certification that unlike a provincial driver’s license, never needs to be renewed. Whether you call it an Ontario boating license or a PCOC, you need to carry one onboard if you operate a boat with a motor. Get your PCOC with BOATERexam.com®. 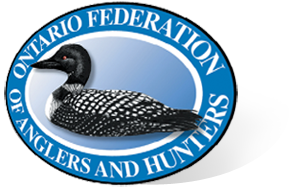 Whether you’ve always wanted to try your hand at fishing, or you’re a new angler to Ontario, a great place to start your Ontario angling adventure is with the Ontario Federation of Anglers and Hunters (OFAH). It's the oldest and largest non-profit fish and wildlife conservation organization in the country. Q. Who needs the Pleasure Craft Operator Card and when? A. All operators of powered watercraft used for recreational purposes within Canada require the card as of September 15, 2009. Q. Is there an age exemption clause? A. No, there is no age exemption – this law applies to all operators, regardless of age. Q. Is the card good for life? A. Yes. The Pleasure Craft Operator Card is good for life with no annual fees. Q. In which provinces is the Pleasure Craft Operator Card valid? A. The card is valid in each province; Ontario, Quebec, Nova Scotia, New Brunswick, Manitoba, British Columbia (BC), Prince Edward Island (PEI), Saskatchewan, Alberta and Newfoundland and Labrador (NFLD). BOATERexam.com® is the leader in boater education across North America and has educated and certified more than 1 million boaters since 1999. BOATERexam.com®, BOATER EXAM® are registered trademarks owned by Skipper Online Services (SOS) Inc.